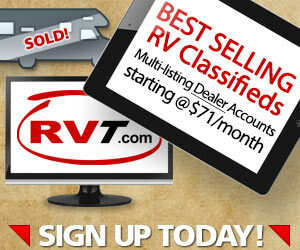 The purpose of this post is to share recent findings from RVT.com Classifieds web analytics data. I had a substantial dataset to work with – over 8 million website visits and over 52 million pageviews over a 13 month period. The results of the analysis are compiled in a this free PDF download. The story of the year is undoubtedly the massive increase in mobile/tablet device adoption this year among RV consumers! As you can see, Desktop traffic went from a strong 80.6% majority down to 55.3%…all in one year! To me, these findings looked more like a three to five year trend, not one! This represents nothing less than an extreme shift in online RV consumer behaviour. 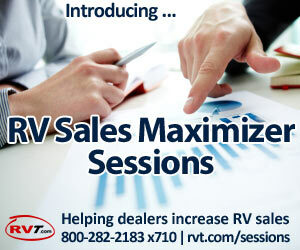 While the RV shopper demographic is admittedly large and varied, it’s also unique. It may be that this demographic is just happening to hit their “mobile stride” this past year. What I mean to say is that it’s possible other niches have seen a similar trend 1 or 2 years ago, but “RV” is now catching up. Conversely, other niche’s may be a behind RV, and are poised to see a similar shift take place. Many users are interacting with the same brands and content using different devices – this underscores the importance of not only providing a useful and enjoyable experience for users, but also a consistent one that is not disparate. Does your mobile website experience look and feel vastly different from the desktop experience? If you aren’t clear about your mobile strategy, it’s definitely time. People have been talking about the importance of mobile for years, and the predictions have come true. A mobile strategy goes beyond your website design. It affects many of your channels including email, organic search, paid search, and social. I am now curious to see what the trend will be next year! Will the desktop keep losing ground at this rate? Finally, consider that this data was generated from actual RV consumer behaviour (in-market RV buyers using RVT.com to find their next rig), it’s not a universal report. 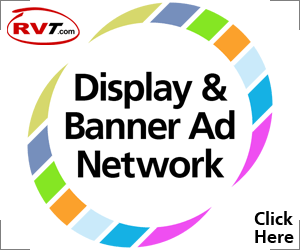 Therefore it is very relevant to RV Dealers, and the industry in general, for making decisions related to advertising budgets, marketing efforts, and customer service . Read the Release on our Press blog. Link to the recent podcast where we were interviewed by Greg Gerber of RV Daily Report.